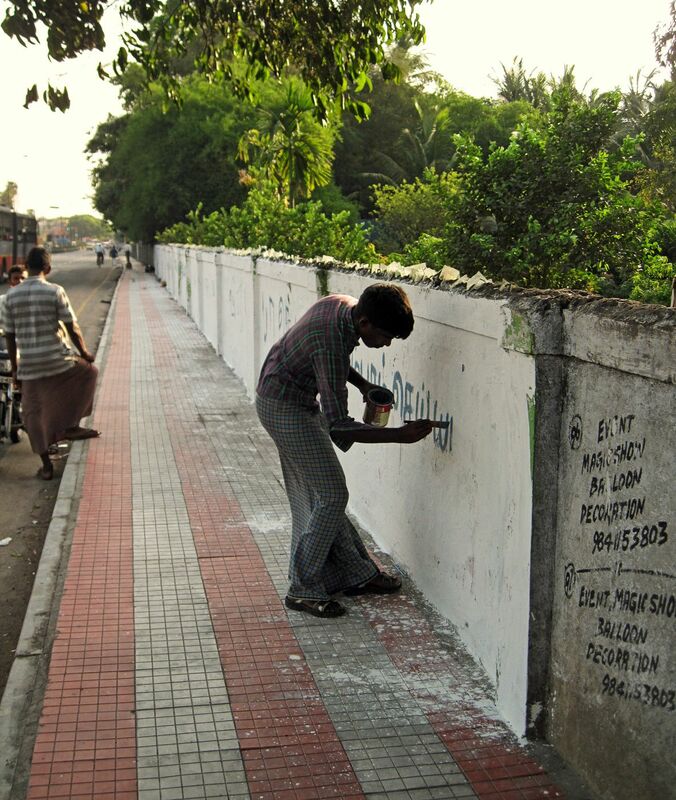 Here are photographs of a man painting a wall on the streets of Chennai, Tamil Nadu. I am not sure whether he is painting some slogan on the wall or whether he painted the wall as well. The writing is in Tamil. There are some scribbled ads on the unpainted wall in the foreground of the image, and it looks to be an ad for a magic show. A lot of small time businesses in India scribble their contact numbers in unauthorised places.